Now consider a chick — before it has hatched. It's cut off from its mother by a hard shell and a couple membranes. There's no way for the hen to get her still-developing offspring the oxygen it desperately needs; the pre-hatchling is on its own. 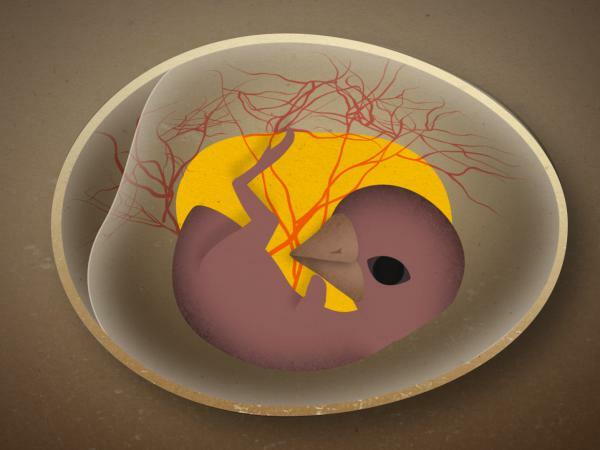 So why don't bird embryos suffocate inside their eggs? In Skunk Bear's newest episode, we use the magic of animation to take you inside an egg and explore the delicate system that keeps these little things alive. Follow Skunk Bear, NPR's science show, on YouTube and Facebook.